I have searched high and low for a simple Indicator for MT4 that allows colour customisation of the current open candle. e.g. Current open candle is orange until close when it assumes the appropriate colour for a bull or bear candle. Can anyone help? I'm not sure if MetaTrader allows direct access to a Bar "Object" via MQL.. But if you simply wanted to "paint over" the existing bar with an EA or Indicator or somewhere around it to achieve the tick-by-tick colour shift depending on the bullish/bearish status of the candle, you could do something like this (I just wrote this up quickly for you, so don't expect miraculous attention to detail ). It prints a rectangle on your chart that updates each tick according to the latest candle, changing colour and size depending on the current Open/Close of the candle. Just to clarify, I am trying to make the current candle stay orange while it is open and only take on the bullish or bearish colours of the chart scheme once it is closed, will your code achieve that? Hi @RacingSnake - I’m not on my workstation right now, but this should be fairly straightforward if you modify Open and Close to Open and Close respectively in both ObjectCreate calls. That’s what I’m unsure of - I.e. painting over the current bar itself. If there’s an index shift function of some sort in the documentation that helps plot it over the bar (or an x,y axis alternative), that should probably help. 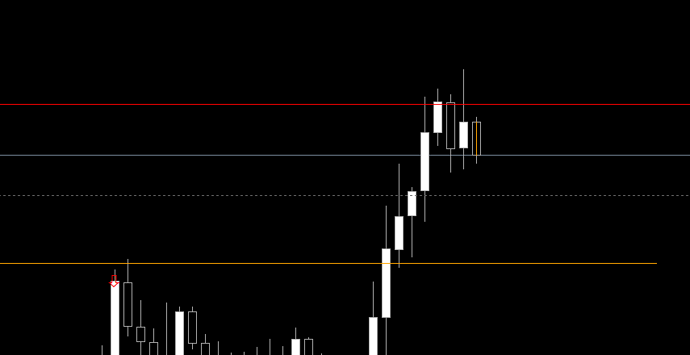 In the ObjectCreate calls I changed Time to Time and now I suspect the rectangle has disappeared underneath the current candle so I need to bring it to the front. In this case, you really just need to modify your template so Bullish bars are blue and Bearish bars are red, then modify the initial code to simply paint over or along the current bar in orange. Yes that is already the case, we are really close now. 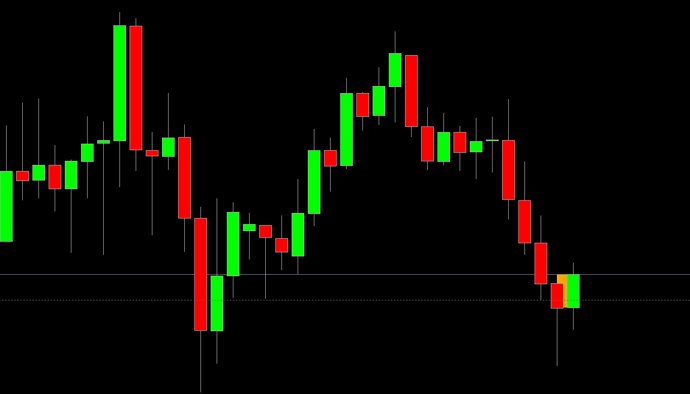 I have MyRect in the right location and it is moving tick by tick but is hidden behind the current candle. In the Objects list I deselected Draw object as background and clicked OK but it doesn't seem to take. When I reselect Edit the box is still ticked. Reset it all to the beginning to show you. you can change the chart properties with uncheck "chart in foreground"
edit: sorry, it doesn't work for rectangles. Anyone had any breakthrough ideas on this?